UNICEF and the government of Papua New Guinea team up with partners like ALEX AND ANI to train the next generation of early childhood educators. 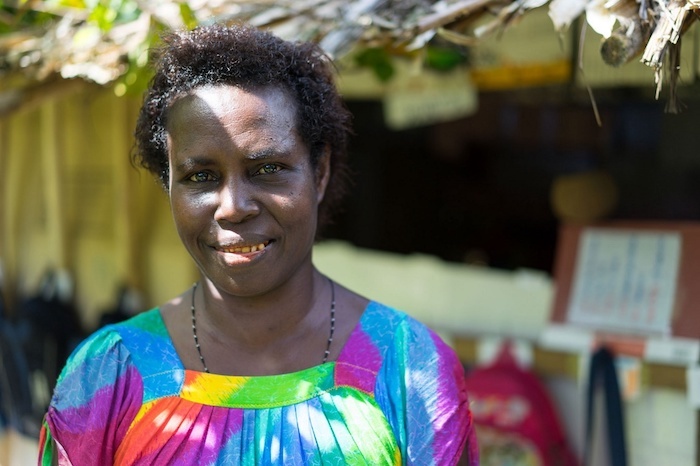 In the back garden behind her house in Papua New Guinea, Early Childhood Development (ECD) educator Hortence Kiroha teaches 38 young children meditation, deep breathing exercises and empathy. This innovative, holistic curriculum is part of a teacher-mentoring program that incorporates social and emotional learning (SEL) concepts into early childhood education, facilitated by UNICEF and the government of Papua New Guinea with support from partners like ALEX AND ANI. Early experiences have an enormous impact on a child's life. During the first 1,000 days, the developing brain forms up to 1,000 new connections every second. So children who grow up nurtured by loving caregivers are more likely to grow up to be healthy, caring adults. At the Katselolo ECD Learning Center she set up with her husband, Hortence is a firm believer in the importance of SEL instruction. "I am grateful to UNICEF for the ECD Trainer Mentoring Program," she says. "It has helped me on my long journey from being a teacher to a trainer. The satisfaction I get is when I hear parents comment on the change they see in their children." SEL contributes significantly to peacebuilding and school readiness by expanding students' knowledge, attitudes and skills to manage emotions, build healthy relationships, set goals and make decisions. Throughout the day, Hortence provides opportunities for her students to reinforce their social and emotional awareness, which helps reduce challenging behaviors and prepares the children for a smooth transition to elementary school. "During our morning meetings, I get the children to do meditation, prayers and deep breathing exercises," she explains. "It calms the children and centers them so they can begin their day. Storytime for children helps them to identify the moral of the stories and they can practice that value during the week." As part of a typical SEL lesson, Hortence smiles or frowns, then asks her students to identify the emotion they see on her face. This important activity is a first step to helping children recognize and regulate their own emotions with the intention of promoting positive, peaceful behavior. These lessons continue on the playground through regular interaction with classmates and teachers, and at home with parents and siblings. "One of my pupils, four-year-old Munei, used to cry every time his parents left him at school," says Hortence. "Now he is enjoying school and his parents say he cooperates at home by volunteering to do household chores with his older siblings." Recognizing that social and emotional skills are a vital part in the development of every young child, ALEX AND ANI has partnered with UNICEF to support Early Childhood Trainer Mentoring at schools in Papua New Guinea, Cambodia and Vietnam. By contributing a portion of the purchase price from the sale of select jewelry products, ALEX AND ANI has donated more than $1.56 million to support UNICEF's Early Childhood Development and Emergency programs. UNICEF does not endorse any brand, company, product or service. Jason Gonzalez works on the Corporate Partnerships team at UNICEF USA. He collaborates with companies to identify meaningful ways to activate consumers in support of UNICEF’s mission.